Totally trendy among the indoor accessories: incense smoke that flows back, like a waterfall. The smoke does not float upwards but instead flows down. For this magical effect, you need a special incense holder. This special backflow incense from Goloka can also be found at Eastern Trading Agencies. 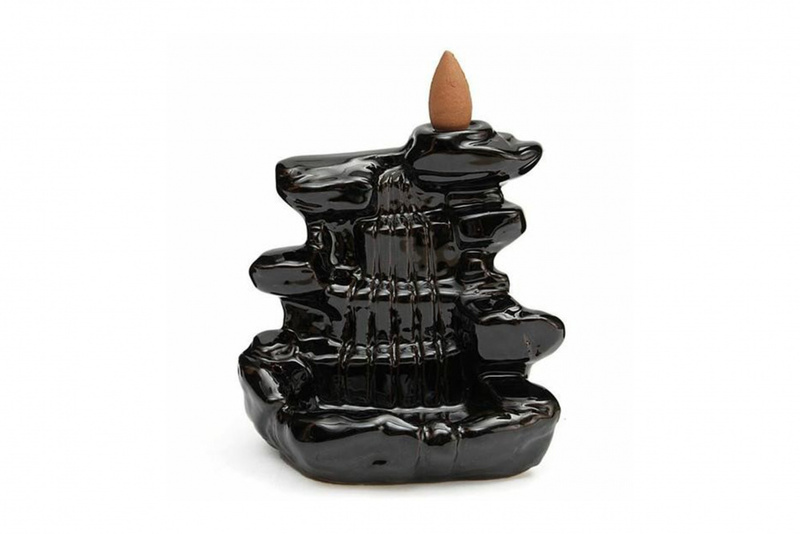 The holder is black and ceramic and with her design she creates a magical effect: the smoke smoothly flows from top to bottom. Enjoy this soothing view, reminiscent of a white river of fragrant smoke. The whole has a relaxing atmosphere.